A gift donation to World Land Trust is a great way to give an ethical gift to someone who cares about the future of our planet. All donations of £25 or more to World Land Trust can be made as a gift for another person. A gift donation is an excellent way to support the Trust, and gift donations come with a gift pack in the name of the recipient. Alternatively, you can give the gift of Friendship to someone you love by making a regular monthly donation to WLT on their behalf. We work with partner organisations across the world to help fund land purchase and create nature reserves to protect threatened habitats and wildlife. 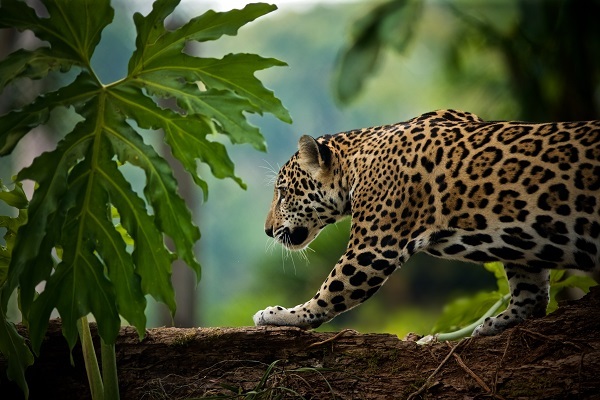 In some countries, we can save an acre of threatened habitat for an average of £100. You can donate as little £25 and buy a quarter of an acre – helping us create or extend our reserves and save the planet’s threatened wilderness. Many people are mindful of the impact that their shopping choices have on the environment. In response to this, WLT offers a selection of gifts for anyone who cares about wildlife and conservation. 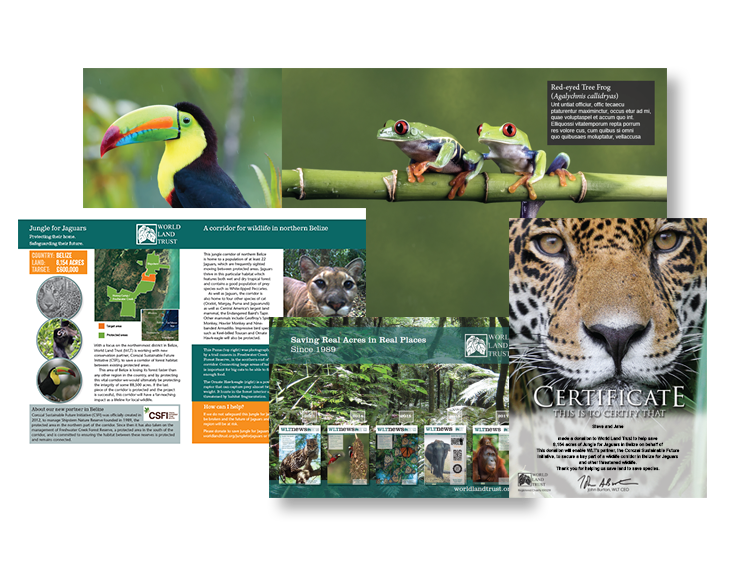 A percentage of the proceeds from the sale of these items goes to WLT’s conservation work. 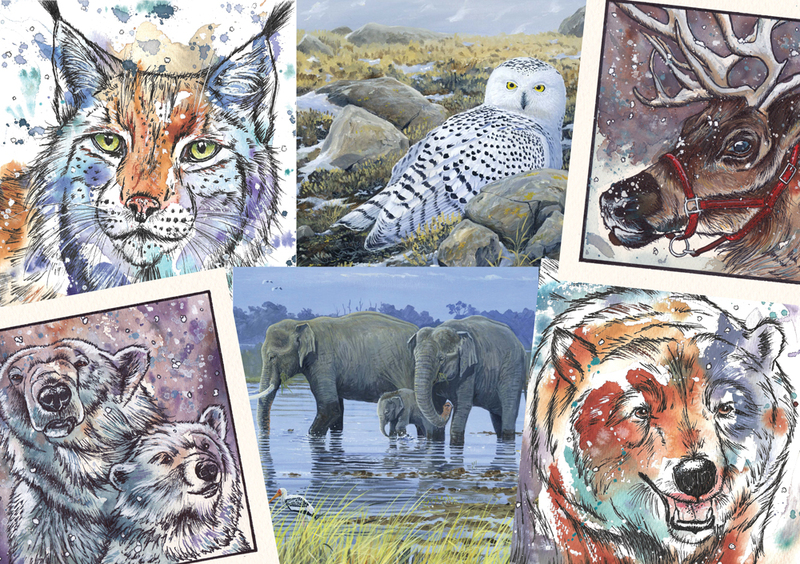 World Land Trust’s shop has a wide range of gifts for Christmas, including cards, books, prints and our 2019 calendar. Please note World Land Trust Offices are closed from Friday 19th to Monday 22nd April. All donations and certificates after 12.30pm 18th April will be processed from Tuesday 23rd April. Last date for guaranteed Easter delivery for email certificates is 17 April. Please note all certificates are manually produced.